Bihar polytechnic counselling 2019: Candidates who will appear and qualify the Bihar DCECE offline mode of the exam are eligible for the web based counselling process. Candidates need to register for Bihar polytechnic counselling 2019. Before registration, candidates must fulfil the eligibility criteria, reservation policies and other concerned instructions as mentioned in the prospectus of Bihar DCECE 2019. Total three rounds of online counselling takes place. Candidates are able to participate in the second round of the counselling, if not satisfied with the allotted seat. Based on the choice filling and locking of colleges and stream, candidates will be allotted seat by the authority. To know the Bihar Diploma Counselling 2019 procedure – Read Below. Below table contains Bihar Diploma DCECE Counselling Schedule 2019. The table with official dates will release here as soon as the authorities announce it. To get admission into one of the Diploma College in the state Bihar, Candidate needs to participate in the counselling procedure by registering themselves. Follow the steps below to register, choice filling of college and reporting for the admission. Candidates must register themselves by visiting the official website of Bihar DCECE Diploma Counselling. The registration link for counselling will be provided here. Candidates who scored the minimum cut-off qualifying marks in the Bihar diploma entrance exam will be only eligible to register for the counselling. In this step, candidates need to register by entering the general details. Register yourself by selecting the appropriate course and then enter Roll number, Registration no., Name, Date of Birth. Accept the declaration box and submit the form after done with the verification. After successfully completing the registration, applicants need to choice fill and lock the college as per their preference and availability. Based on the filled choices, marks obtained and merit rank, candidates will be allotted seat by the authority. Candidate can make the list of preferred college by using the “+” and “-” sign from the available choices. “SWAP” option is also available to change the places of two colleges. After doing the above exercises, the choice locking facility will be activated. Once the locking system is available, the candidate must first check and make sure that it is a correct choice as per their requirement. They must click on right choice button after checking correctly. If you want to modify or add/remove some choices, then click on “Unlock Choices” button. On this action also enter your password for unlocking the choice and click on “Submit” button. The choice will unlock and candidate can modify their choice as per their requirement. After modification follows the same above steps to lock your choices. The seat will allot on the basis of choice of rank, category and reservation of the candidates. The 1st round seat allotment schedule will be available here as soon as it releases. The candidate will receive a SMS on their registered mobile number. It will mention the result of 1st round of Seat Allotment. The candidate can check the result on the official website after Login. The candidate must take a printout of the seat allotment letter, if the candidate decides to take admission at the allotted seat. To take the printout of the seat allotment letter, you need to enter valid login credentials on the official website page. The candidate must report at the designated centre. They must report at the scheduled time and date. If the applicant is not able to appear, they will not have any other opportunity for the further round of counselling. In auto up-gradation system, this position will remain as such or he/she will be promoted to upper choice in next round of allotments, so be careful while giving the choice. The better-preferred choice should be an upper level. If the candidate is not allotted any seat in this round, they must wait for the next round for any upgraded allotment. After physical reporting of the allotted candidates to their respective Reporting Centre at the end of each round, the e-counselling will be completed and a seat vacancy will be generated. If you are satisfied with the seat allotted to him/her, then you need to report at the concerned college. A demand draft of Rs 1000/- in favour of Principal of concerned Institution or Cash also need to be carried. 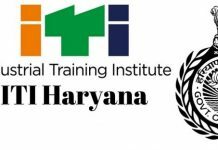 NOTE: Any allotted candidate is allowed to withdraw, if they are not satisfied with the allotment or taken admission elsewhere or of any reason, he/she is not interested to take admission in the allotted institution / College within the declared time as per AICTE norms. At the time of reporting at the designated centre, the qualified candidate needs to carry the below-mentioned document and certificates. The candidate must carry one photocopy of all the documents during document verification. 1. Copy of downloaded Part-A & Part-B of Application form. 3. Copy of Rank Card. 5. Six copies of Passport Size Photograph (as uploaded in online Application Form). 6. 10th Board Certificate / Matric/equivalent Certificate and Admit Card as proof of age & Identity. 7. School Leaving certificate (original school leaving certificate is mandatory during admission. 8. Aadhar card for ID Proof. 9. Residential certificate for the native of Bihar issued by Concerned C.O of Permanent residence. 10. Caste Certificate issued by concerned C.O. of Permanent residence (In case of reserved category candidates). 11. Character Certificate issued by Head of Institute last attended. 12. Income certificate issued by concerned C.O. of Permanent residence. (In case of Economically Backward). After the publication of seat vacancy of the 1st round, 2nd round of online web counselling is conducted. In this round, no fresh registration shall be allowed. But if the situation demands, then further merit list/result may be published. Then Registration and Choice filling will be allowed to fresh candidates only, who were not included in 1st published merit list/result. Who are eligible for 2nd Round seat allotment / up-gradation? Category 1: All Registered candidates who have successfully filled their choices and not allotted any seat in the first round of seat allotment. Category 2: All candidates who were allotted a seat in the first round of counselling and also got their documents verified and hence were declared as successfully admitted candidates. Such candidates must visit the website as per counselling schedule for knowing the up-gradation of seat allotted to him/her in the first round. NOTE: So, this is basically an up-gradation round of counselling for the candidates registered in the 1st round. Based on the availability of seat, rank, marks scored and merit list, the official authority shall allot the seat. If the seat in the participating institute remains vacant, the official authority conducts the 3rd round of counselling. In case if the situation arises, then Registration and Choice filling will be allowed to fresh candidates only, who were not included in 1st and 2nd published merit list/result. 1: All Registered candidates who have successfully filled their choices and not allotted any seat in the first round or 2nd round of seat allotment. 2: All candidates who were allotted a seat in the first or second round of counselling and also got their documents verified and hence were declared as successfully admitted candidates must visit the website as per counselling schedule for knowing the up-gradation of seat allotted to him/her in the first round or second round. NOTE: This is the last round of Bihar DCECE Diploma Admission. Seat allotted to the previously and fresh registered candidates will be considered final. No further round of counselling will be held. 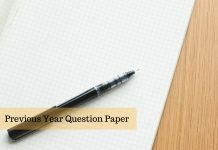 If you have any doubt related to Bihar Diploma Counselling 2019, feel free to write the same in the comment box given below.